I’m really excited to branch out into the trampoline side of gymnastics with some new content. I had very little exposure to competitive trampoline as a gymnast. Although I have worked with some gymnasts in this area of the sport, I still can’t speak to the exact issues and demands as well as artistic gymnastics. Thankfully, I know some people who can, and I have been able to learn a lot in the last few years. I’m fortunate to be friends with 2012 Olympian and former US National Team Member in the sport of Trampoline, Steve Gluckstein, as well as his wife who competes for Brazil, Camilla Gluckstein. First of all, they are both ridiculous athletes and great people. Alongside that, they have been really helpful to educate me on the injuries trampoline gymnasts face, and the overlapping ways these issues negatively impact performance. At the last Power Monkey Camp, Steve and I took the time to film a whole bunch of videos together. We wanted to get some much-needed information out about problems gymnasts training in trampoline face. One of the biggest issues that he said many trampoline athletes struggle with was limited overhead mobility. I know from experience, this is also something that can cause gymnasts to have shoulder and neck injuries. It’s actually funny that the way Steve and I first met was because he was struggling with some ongoing neck pain due to limited shoulder mobility. 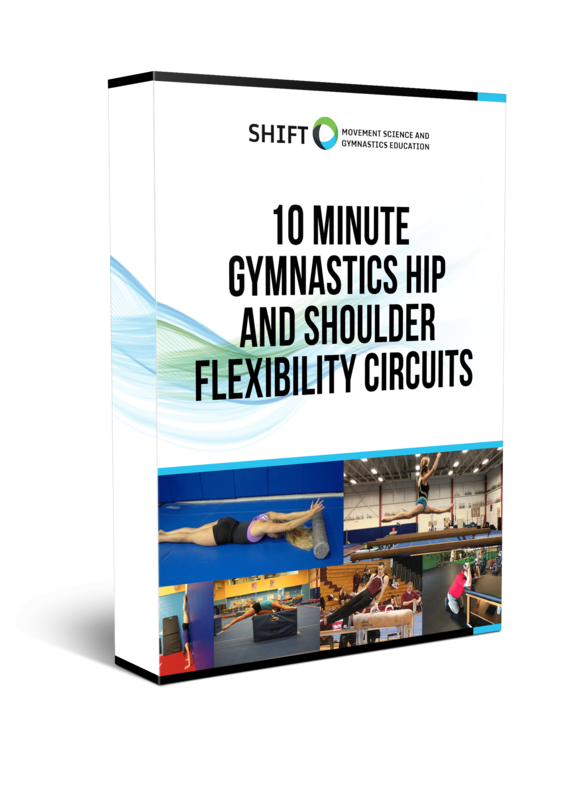 His scenario was really common in that when a gymnast has limited overhead shoulder mobility, many times they will compensate by pushing their head forward/down during many skills. During overhead movements (handstands, jumping on trampoline) it can put a ton of strain on the neck, as well as the nerve roots in the neck, and can be pretty painful. Being able to help with limited shoulder mobility in trampoline is definitely a “2 birds 1 stone” scenario. It will not only alleviate some pain symptoms, it will also directly improve performance. Hear all about it in this video Steve and I shot, and then below you can find the exercises we refer to. If you screen someone and find they struggle to get their arms overhead or notice their bouncing on trampoline struggles to stay in place with good vertical motion, give these exercises a try over a month.